The MLTA President’s Distinguished Service Award is bestowed upon individuals whose dedication and long-time support of the association is extraordinary and much appreciated. These individuals have gone above and beyond in their work to represent the title industry in Maryland. This award is granted by the President of the MLTA on behalf of the Board of the MLTA to the recipients in recognition of years of dedicated service to the MLTA, active involvement in the Association, and able leadership and advocacy for the enhancement of the Land Title Industry. The award confers perpetual status as a member of the board of directors of MLTA to the honoree. 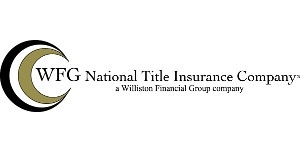 The National Title Professional (NTP) designation recognizes land title professionals who demonstrate the knowledge, experience, and dedication essential to the safe and efficient transfer of real property.